during a pictionary-esque game, a news reporter draws something too phallic for television. 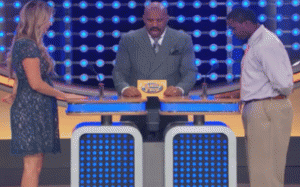 A woman gives a hilarious and very unexpected answer to a question on Family Feud. A compilation of some of the funniest news bloopers of the year. a bbc reporter gets high when standing next to a mive amount of burning . 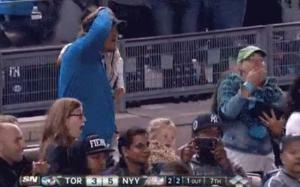 A little girl throws away a foul ball recovered from a hit by retiring baseball legend Derek Jeter. 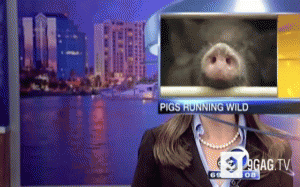 funniest news bloopers of all time. 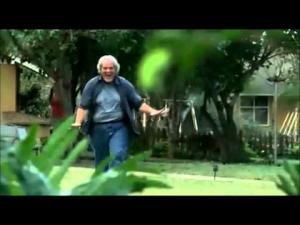 another possible true blood blooper that was left in. jason turns around quickly and smacks his head into a tree. was this planned/scripted? Best outtakes from all of the seasons. All rights belong to Lost and ABC.